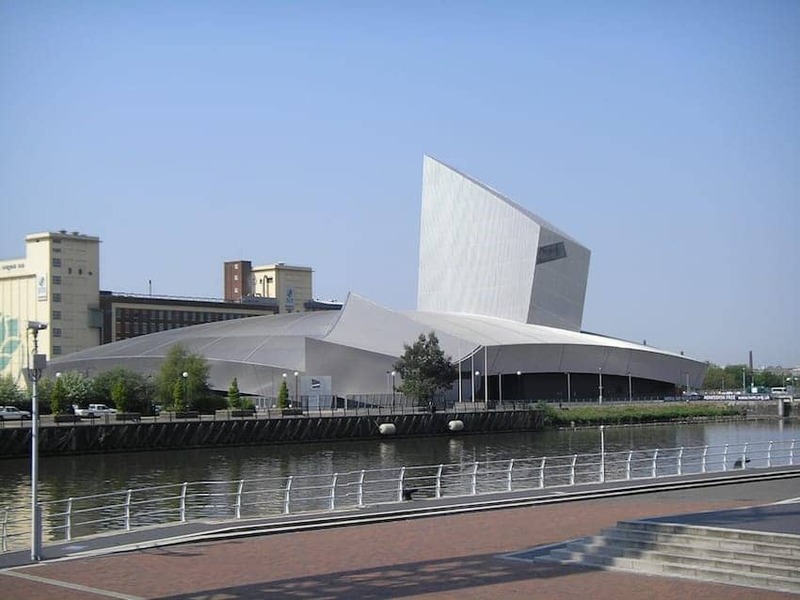 The Imperial War Museum North is the Manchester outpost of the IWM group of museums. It is located in the Salford Quays waterfront. Built in 2002 this hard to miss aluminium clad building of jutting angles is the first building in the UK by internationally acclaimed architect Daniel Libeskind. It is designed to represent a shattered globe and the experience of visiting is deliberately disorientating. Purpose-built as a museum, the permanent exhibitions consist of a chronological display around the gallery's 200m perimeter and other displays are set within the space. The dramatic main gallery includes objects such as a Russian T-34 tank and a British 13-pounder field gun which fired the British Army's first shot of the First World War.